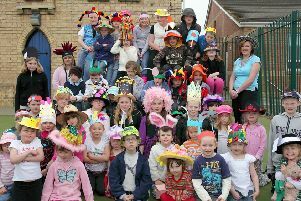 Richmond School celebrate success in 2004. Back in June 2004, the Magdalen School, in Wainfleet, hosted its annual schools six-a-side soccer and netball tournament, writes photographer Ben Hardaker. Pictured are netball champs, the team from Skegness Richmond School with their trophies. They were Abigail Fisher, Clarissa McRae, Naomi Tupoulahi, Heather Marshall, Clara Austin and Stephanie Grunnill.